OMG Posters! » Archive Sonic Youth Poster by The Small Stakes - OMG Posters! 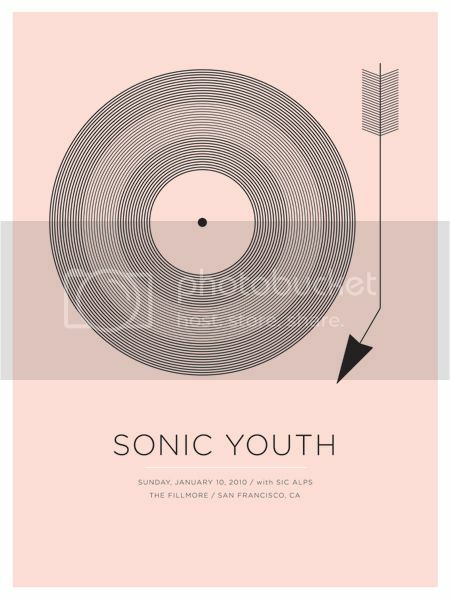 I said I’d keep you updated about the latest round of Sonic Youth posters, and the first one has just hit the internet. The San Francisco poster by The Small Stakes is an 18″ x 24″ limited edition screenprint for $30. Visit TheSmallStakes.com. the one that the fillmore gave away was mo better. and the show was mo better than the poster. get crunk!